China International Travel Service of Southeast Guzhou was founded in 1986. The largest international travel agency in this area. It is one of the memberships of the CITS Aggregation and has applied to be the only member of Corporation Travel Service Network (CTN) and Travel Service Network International (TSNI) in Southeast Guizhou. CITS S.E. Guizhou possesses a group of experienced and professional managers and tourist operators with multiple language tour guides as Chinese, English, Japanese, French and other minority languages. It is powerful in providing several types of travel routes and service, especially through the ethnic minority areas in Southwestern (including Guizhou, Yunnan, Guangxi, Western Hunan and Sichuan Provinces). CITS of Southeast Guizhou pays the most attention to the reputation and service quality so that it gains the high evaluation from the guests all over the world. A variety of tours are organised, including the tours of minority culture, special natural sceneries and attractive historic sites all over China. 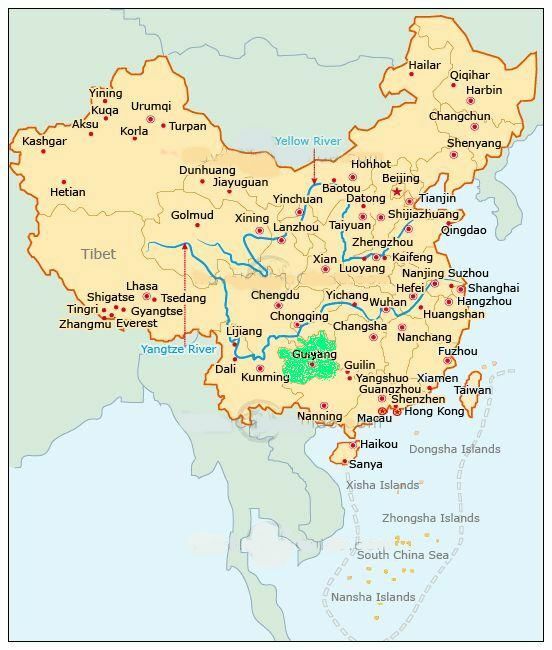 Guizhou is located in the southwest of China, on East of the Yunnan-Guizhou Plateau. It is one of the important provinces with a lot of minority inhabitants. Thanks to being situated deep inland with mountain valleys, and its traffic inconvenience, its relative isolation has made the region one of the best-kept secrets in China; Its stunning landscape is characterized by limestone karst hills, jagged peaks and terraced rice fields. Its colorful ethnic minority cultures have made Guizhou a paradise for anthropologists, photographers and adventurous travelers. Southeast Guizhou is the most important region with over 38 different ethnic groups and its main population is Miao, over 50 special Miao costumes can be found here. The Dong nationality comes the second place with over 36 different types of their costumes. Then Buyi, Shui, Yao, Gejia and many other small minority groups are living together there.